Kingdom of Avon – medieval adventure Open World RPG map for Minecraft PE. All gameplay takes place in the lands of the kingdom of Avon. You play the role of the legendary hero of the world MCPI, tasked to find all the lost relics scattered throughout the kingdom, deep in crypts and in the mountains. Only when all the relics are found, the prophecy will come true and the great dragon will come to earth! 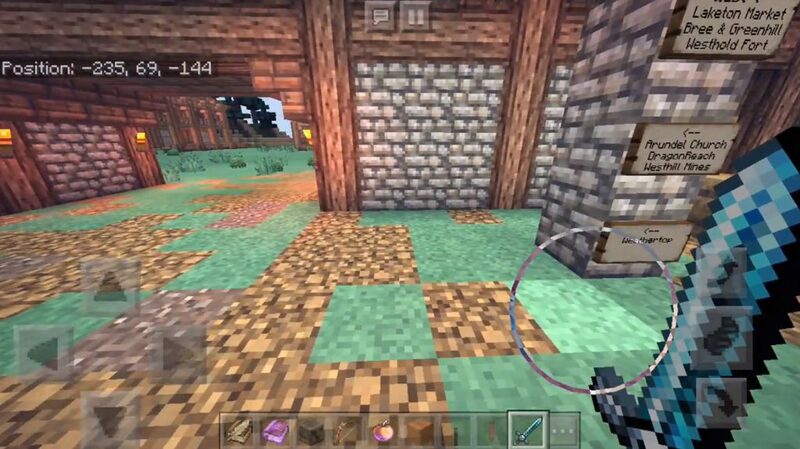 A certain medieval fairy tale is already waiting for its heroes in the world of Minecraft Pocket Edition! There are a lot of command blocks on this map, which makes the gameplay more pleasant and sophisticated. It is assumed that you are waiting for a lot of quests (along with some hidden bonuses). Good luck! 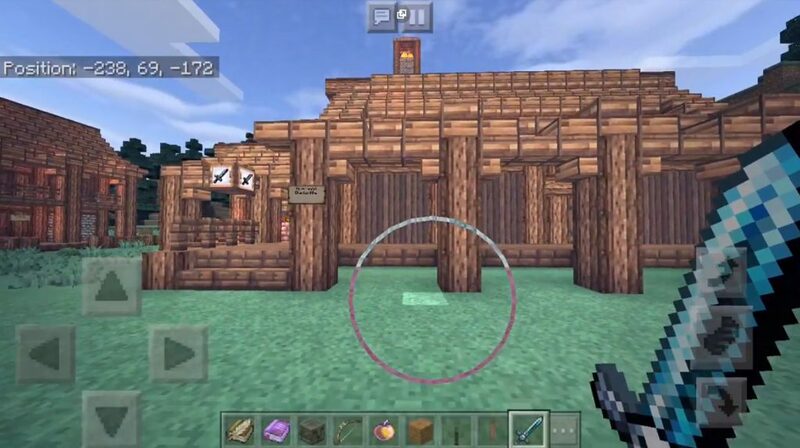 After generating this map for Minecraft PE, you will be sleep in a hub where you need to read all the signs and instructions about the game. This area of ​​the world MCPU is quite large and open. Throughout the gameplay you will visit many interesting places, each structure has its own secrets and treasures, we suggest you explore all of them! There are several quests that you must complete in order to find each of the relics (which take the form of the stars of the Lower World). The essence of these quests is outlined in separate books, which you can find in the chest in your home. Each task will lead you to the desired relic. When all the relics are found, you have to complete the last quest in which you will use everything found for the great dragon’s spawn. And of course, you, as the greatest hero, must kill this monster before it destroys the kingdom! This territory is actually built on one of the world maps of Minecraft Pocket Edition. However, hundreds of additional structures have been added, and the adventure itself does not require interaction with the original assemblies. The first part of the map sends you on a journey to find the lost relics (the last stars) scattered throughout Avon in different places. Each quest will lead you to the next task. When all the relics are found, the dragon will be called, whom you will have to defeat before you destroy the kingdom. The second card occurs after killing the dragon. You teleport to a brand new place; Capital City Stonehaven. The king called you there to knight you to kill a dragon. However, the orcs plan to resurrect the dragon in an alternate dimension; DragonRealm (Final Dimension). 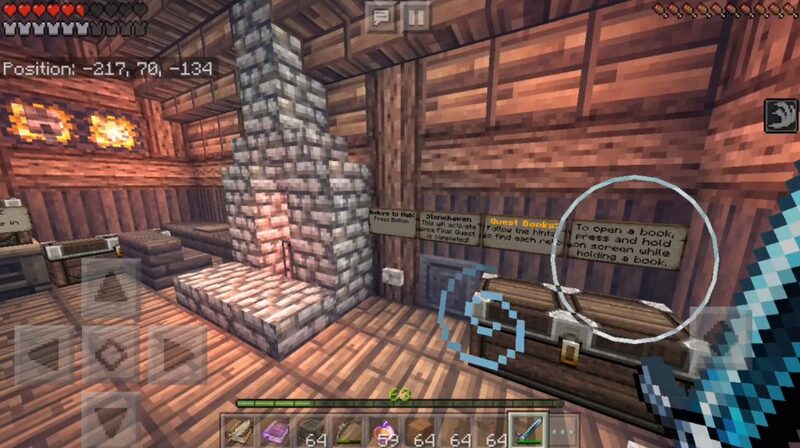 You must complete all quests to find the lost Virtus (Eyes of Ender) to enter DragonRealm and kill the dragon again. This territory includes hundreds of quests in various places of medieval style, including a massive tower, inspired by Isengard from Lord of the Rings. Since this world is very large, we suggest you to study its drawn map: Avon map! New Location: Hearthstone Farm (predator farm) (on the main road leading from Stonehaven to Part 2). IMPORTANT: in the future you will find many more updates.